Near the tail end of 2018, Panda Bear a.k.a. 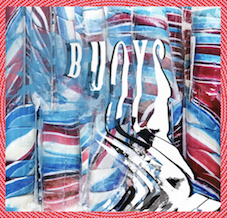 Noah Lennox, founding member of Animal Collective, announced Buoys – a full-length follow up to 2015’s kaleidoscopic album Panda Bear Meets The Grim Reaper and the vinyl-only EP A Day With The Homies (2018). Buoys will be released February 8th 2019. 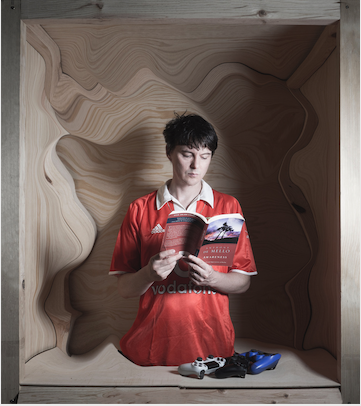 Today, Panda Bear presents a new single from the album – ‘Token‘. The lusty, cascading track arrives with a video directed by and starring experimental producer & musician Dean Blunt. In tandem with the start of the New Year comes the arrival of the Most Anticipated Albums of 2019 lists, many of which feature Buoys. Check out lists from Vulture, SPIN, Pitchfork, Stereogum and Consequence of Sound, all of which include mention of the forthcoming album. Alongside Santos, Buoys also features collaborators in Chilean DJ/vocalist Lizz and Portuguese musician Dino D’Santiago, both artists who came to Lennox via Santos’ recent trap and reggaeton production work; the former contributes arrangements throughout the album including ‘Dolphin’, and both lend their vocals to ‘Inner Monologue’. Buoys will be available on CD, LP, and Limited Edition LP, and digitally on February 8, 2019. Buoys artwork was created by Danny Perez, with photography by Fernanda Pereira, and with additional design by Rob Carmichael, SEEN.